We take our business very seriously and appreciate all feedback. If you have enjoyed your experience please take the time to let us know so we know how we are doing. Similarly, if you believe that we could improve our service we would appreciate your comments. Here is what others think. Very pleased with your service, communication and finished product. We found your team to be courteous and very professional. We would have no hesitation in referring friends to your business. Helen and John were so helpful with getting my pool fence compliant. The job was booked promptly, repairs required were done at same time as inspection was done and certificate was out in a couple of days. So great when selling your home, and being so busy, to have such fantastic service to get this compliance requirement sorted so quickly and easily! We highly recommend The Big Tick. After using other pool certifiers in the past we would never use anybody other than The Big Tick. They have certified our pool 4 times now, every time with no inconvenience to us. They are very prompt, thorough and communication with their customers is excellent. I feel better knowing our pool has passed inspection. Always though, I remember, that children must be supervised around pools, as a certified safe pool PLUS supervision is children’s guarantee of being kept safe near pools. Fantastic service from Helen and John, they suggested practical and cost effective measures to help us obtain our pool safety certificate, while ensuring the work was done in an aesthetically pleasing manner, can’t recommend them enough. Thank you for your prompt and professional service providing certification for our in ground pool. You were very through and knowledgeable of the rules and regulations and I would have no hesitation in referring The Big Tick to friends and colleagues. Your excellent prompt customer service you provide is outstanding. You are always pleasant and respectful and I have no hesitation recommending The Big Tick to any future clientele. I have to say how happy I am with The Big Tick. I found Helen to be very punctual, professional and approachable. Helen offered sound advice as to what needed to be done to get our pool up to scratch when it failed its certification. Once the work was done Helen was very prompt with a call back. I highly recommend The Big Tick. We are very happy to recommend Helen and The Big Tick for pool fence safety . She was very thorough and friendly. Thank you Helen and John for your prompt inspection and the good work you did to make my pool fence legal. I recommend The Big Tick. For several years, The Big Tick has been checking on our pool certification. We have been impressed by their diligence and service. Sandford Lodge Body Corporate – St Lucia. Thanks for your prompt and professional service to help us get the pool compliance across the line for the sale of our house. We highly recommend your services. I would just like to thank you for your speedy and competent compliance check on our swimmer pool. As discussed with you, our pool was installed approximately 20 years ago and we thought it time to get an expert to assure us that our pool was still compliant , given the sad things that can happen with children regarding noncompliant swimming pools. Your survey and detailed report including the supporting photographs were presented professionally and in a timely manner. Whilst we chose to implement all the findings in your report including your recommendations , we were shocked that something as simple as the gate hinges were originally installed upside down ( some 20 years ago ). We would not have known this without your help so it proved to us the importance of a current day review of our pool fencing, this could have been a horrible experience for us if in fact this original installation problem actually allowed an incident , even a death. Helen , the follow up work that your team provided for us was executed without fault and your quotation in its entirety from start to finish was very fair in terms of value. You and your team turned up on time and in fact your leading hand called me as he was available to come earlier on the day and wanted to ensure this would be ok, which it was. Helen , I would happily recommend you and your company for pool fence compliance to any prospective client. Thanks again for the great job you and your team did. A glowing endorsement from me. You and your handyman were punctual, reliable and easy to deal with. The handyman service made it easy. I needed a pool safety certificate for selling my property and was recommended The Big Tick. The process was very smooth, Helen came out and identified all the issues with the fence and provided advice on options to fix it and also provide a report covering everything. I worked through the repairs and Helen was always available to give advice on whether the repairs would be acceptable. The final inspection went smoothly and the certificate issued on the day. Would recommend The Big Tick for anyone looking to sell or just make their pool safer. I would highly recommend The Big Tick to everyone needing their services we have recently used them for our pool certification and also to fix the fencing upgrades required around our pool area. Helen has been wonderful to deal with in the office and is always very quick and efficient, John did our certification and the fencing works and I found him to be fantastic as well. We will now be using The Big Tick for all our future requirements due to their fast friendly reliable and very reasonably priced service. We have been very happy with the service you offer. You arrive when you say you will, friendly to deal with supported by good advice on pool matters. We’ll continue to have our pool inspected by you guys. Just a note to say thank you for a very prompt, tidy and cost effective service! We really appreciated the time you took to advise on the options, and all the effort put in by John and his mate, all well within time and cost restraints. We are very pleased with everything and will certainly be recommending you to anyone looking for pool safety certification. Pleased with arrival on time . Happy with the work done by John and assistant. Would recommend your business to anyone. Helen and John, thank you so much for your assistance over the past 8 years, it has been greatly appreciated. The service provided has always been great quality. John & Helen, thank you for all your help getting our pool fence up to regulation. You both made a difficult task simple. You were a pleasure to deal with and I would definitely recommend your services to family & friends. Congratulations on your excellent service, your company is aptly named. It is hard to imagine greater efficiency than making an enquiry at 8am having an inspection at 11am and my certificate arriving the following day! All that with a friendly smile, can do attitude & practical help to resolve whatever issues arise. A big tick to you & a highly recommended sticker! Very happy with your service. Helen and John were easy to deal with, providing very professional prompt service and especially client focused looking for solutions that are workable and compliant. Also very flexible and responsive with small extra work to be done when on site. John did a great job whilst on site. I will highly recommend The Big Tick to others. I also wanted to say how impressed I am with your service. During a difficult time you went above and beyond to ensure my pool fence met compliance. I also am extremely appreciative that you were able to fit me in under a very tight deadline. It was explained in easy to understand terms and cost effective solutions were offered. I would have absolutely no hesitation in recommending The Big Tick to family and friends. Congratulations on building such a wonderful family business. Helen offered a great service. She came out and inspected our pool very promptly and spent the time to explain to both myself and our builder exactly what modifications were required to achieve compliance and was even able to supply some of the needed materials to our builder. I would not hesitate to use her again and highly recommend her to others. 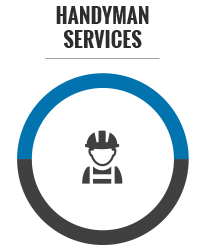 We would highly recommend the Big Tick for pool certification services. The staff were extremely efficient and friendly and were able to inspect our pool at a time convenient for us. Certification was completed quickly and at a reasonable price. Thanks for your prompt service on this job. 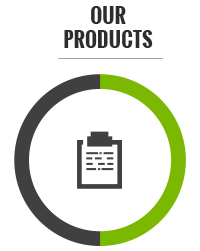 It is great knowing we can rely on your company for quality work at a reasonable price. The Big Tick were fabulous to deal with; admittedly I was apprehensive about the process, as I thought we would have compliancy issues that lead to significant cost. This was certainly not the case, there were a few things that required action, they were fixed in moments and cost $65 in total- plus their standard call out fee. In my experience The Big Tick were seamless to engage, whilst also carrying out their duties with integrity! Refreshing to see. Thank you so much for being punctual, professional & friendly when you inspected our pool last Friday. And, we have already received our safety certificate. Fantastic service. We would not hesitate to recommend The Big Tick to others. Thank you very much Helen & John. I would and will recommend The Big Tick to everyone needing A pool Safety Certificate,You are Reliable and VERY VERY EFFICIENT, Very Friendly and Helpful. Again THANK YOU. Would definitely recommend your company…very obliging and efficient. Such an easy process as being a shift worker-and not handy with tools-great to know the job was done properly. Thank you very much for your promptness and workmanship, we really appreciate this during the very stressful time of selling our house. We wouldn’t hesitate to recommend you to friends and family. The team at big Tick, is a one stop shop, if your pool doesn’t pass they will rectify at a reasonable price any faults. Carindale Terraces has two pools, they have always been pleasant to deal with and carry out inspections with no fuss. Thank the guys for their hard work. They were prompt, professional and did a great job. Very happy with the service. Was one of those jobs we just didn’t have time for and were happy to pay for it to get it right. I have recently had the pleasure of using the services of John and Helen Smith of THE BIG TICK. These services included a Safety Inspection of my pool followed by necessary alterations to meet the current legislative pool standards as required. This was followed by a final inspection and the granting of a Pool Safety Certificate. During the time involved to receive this certificate, I found THE BIG TICK to be courteous, honest and punctual at all times. I would have no hesitation in recommending THE BIG TICK to any person requireing the same swimming pool service. Thank you for your quick and prompt service. This will be the 3rd time or 5th year having you guys to come to certify my Pool Safety. With your Pre Check List, and guidance, we understand what is clearly required, and hence able to pass first go ! Thanks again ! John went to enormous lengths (and, frankly, worked really hard on a very hot day) to inspect our pool and implement practical solutions, to ensure our pool fence was compliant and certifiable without the need for a return visit or additional work. It was incredibly good value for money (in fact, I think you should consider charging more!) We were very impressed and very appreciative. When we registered 5 years ago with the Big Tick to have a pool safety re-evaluated, they contacted us, even though we had totally forgotten about it. We took the offering of a free handyman quote to ensure our pool safety was current as I had suspected there would be a few failings, and when they came out to our property, they were both professional and courteous, the quote was under my expectations, and we got them to fix our property, and complete the certificate, which ensured a hassle free completion. And yes we are going to get them back for future work later in the year. We recently chose The Big Tick to conduct our pool safety inspection following a recommendation from our real estate agent. From the very beginning I found Helen and her team to be extremely helpful and very professional. I was concerned that we would be up for significant expenses to ensure that our pool complied but we were very pleased that Helen and her team arranged any modifications with minimum cost. I would highly recommend The Big Tick to any pool owner who is seeking a pool safety inspection. Just a quick note to compliment you on your service. We were after a company who were willing to inform firstly, quote secondly and finally to inspect and complete the work in one visit. You meet the brief entirely while being helpful, friendly, and informative. Also importantly your pricing was competitive. We will recommend you to family and friends. I would like to thank you for your professionalism and prompt attention to ensure we comply with the government regulations regarding our pools. We have now used your services four times and can only say we are extremely happy with the service you have provided and your assistance to us regarding the work that was required to bring them up to compliance. Your reminders are extremely helpful also. I would also like to say a sincere thank you for taking on the project at short notice and completing it on time to meet our deadline. It was a pleasure dealing with both of you and thanks for keeping us updated of the progress. I will have no hesitation in recommending the Big Tick to everyone. Thanks again and keep up the great work. I appreciate the assistance given today by John, he was so helpful and understanding of my situation and I am very grateful. As my property has been sold, I now have peace of mind that the pool is compliant and that settlement will not be held up because of non-compliance. I will definitely be referring The Big Tick to my family and friends so that they can comply with the regulations before November 2015. The Big Tick was recommended to us by friends. They pre-inspected our backyard prior to making changes around the pool, told us what changes we had to make and were able to make those changes. Big Tick service was brilliant, great advice, quality service and excellent communication. If you need an inspection, Big Tick are the ones to do it. The services you provided was exceptional. Your willingness to provide advice on the practical solutions to make our fence comply prior to the inspection was invaluable. In addition, the assistance John gave on the day of the inspection to help fix up the minor items that were not complying was much appreciated. They both served to ensure we received certification of our pool fence on the first attempt. Thank you. I have used The Big Tick twice now for my pool safety inspections. Both times, I found that the representative went well above and beyond the “call” to provide superlative customer service. I cannot recommend this company highly enough! The Big Tick service guarantees peace of mind that our pool is safe and fully compliant with Government standards. 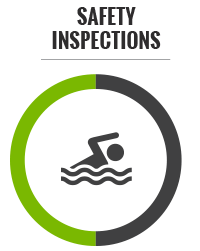 The pre-inspection check list proved invaluable in helping us understand pool safety. They are prompt, extremely thorough, taking the time to check and remedy if needed any potential problems. I will be using them again on our next inspection. A great big thank you for all your hard work in replacing our retaining wall. You worked in conditions that most people would have buckled under in order to complete the job, it didn’t go unnoticed and has been greatly appreciated. You are without a doubt an exceptional company, courteous, friendly and one I would wholeheartedly recommend to anyone. You have my sincere gratitude. We were very happy with the inspection process and support to rectify deficiencies. Your proactive approach made the whole process very easy. Thanks! We were really pleased with the service you offered and will certainly use you again and refer you to friends. We were very happy with the service and punctuality provided by John and Helen of The Big Tick. Plenty of helpful advice was given to us, making the process simple and without fuss. It was a pleasure dealing with both yourself and John when he came to inspect the pool. I appreciate the advice offered when it came to the changes I wanted to make to our fence and also the advice on what to keep a watch on when John went over the fence with a keen eye for detail. Quality service and professionalism are always appreciated. I would like to say how satisfied with the professionalism and friendliness of The Big Tick staff. Also was extremely impressed at the timely manner Helen was able to have John attend my home to fix up minor issued that had become apparent. Thank you, I would highly recommend you to anyone needing their pool certified. The Big Tick is excellent! Very efficient and fast. Everything was checked, work was done meticulously and the certificate issued very quickly. I would use them again in future. A lovely team to work with. Excellent service and replies to emails promptly. It was a pleasure doing business with your family company. We were impressed with the quality of service on the job that we received from John and Lucas and the explanations given to us regarding a few minor problems were explained in full detail. We particularly appreciated the fact that these problems were able to be fixed during the one visit which enabled our Certificate to be issued without any delays. I would like to thank The big tick for inspecting both our pools, John was very helpful with what changes I needed to do to bring the pools up to standard. I repaired some minor faults while he waited, this was most appreciated as my time is valuable. Thank you for excellent service. We are extremely appreciative of the advice and options given in order to ensure our pool area is well secured and maintained according to Qld Government regulations. Thank you again especially to John for his service. Just thought I would advise you that Gary and I were very pleased the service you provided for our Pool Safety Certificate. We found John very pleasant and helpful, it’s nice to have someone come with such a nice and happy attitude which we don’t see a lot of these days. I would certainly forward your business to any of our friends that are looking to get a Pool Safety Certificate. Keep up the good work. Thank you for coming to check our pool last week. You were not only thorough, but happy to wait while we fixed a couple of minor issues with our fence instead of coming back another time (and charging us)! You obviously have safety as the number 1 priority and put people before profit. Thanks so much again. I was very impressed with the service from The Big Tick. Helen went through any issues to be fixed and offered cost effective, practical and aesthetically pleasing solutions as well as organised materials for the job to be completed. Their depth of knowledge of the code was impressive. I found their service to be personal, courteous and very professional and would highly recommend ‘The Big Tick’ for any certification work. Thank you very much to John who did a great job by inspecting our pool. He made sure everything was in order. We were very happy with the service provided. It is good to see a company that solves all problems both pool and garden related. This shows extra care taken by John. We will definitely recommend The Big Tick to all our friends and family. We’ve been very pleased with the level of service you have provided. It was great to have so much advice, guidance and reassurance prior to the inspection so we could feel confident that everything would be OK on the day! Thanks again. Thank you for your prompt and efficient service in relation to the pool at my father’s home. Being in real estate and seeing lots of pools I was aware the pool would not be compliant and consequently requested an inspection as the property was to be sold. Following your report we were able to rectify the concerns and were very happy to find that all was compliant on the re-inspection. It is good to work with someone who is professional and efficient. Once again, thank you so much. I was very happy with the service provided by The Big Tick, specifically John and Lucas. They were thorough and went above and beyond in terms of fixing problems and other parts of the garden which were unrelated to the job. I would have no hesitation in referring your service to family and friends. Many thanks for all your advice and help in getting us to the point of compliance. We particularly appreciated your advisory service and the time you spent talking to us on the phone regarding one or two tricky issues. We also appreciated John’s skilled workmanship in solving a couple of problems. Helen and John, you make a great team. Dealing with The Big Tick couldn’t have been a better experience, personal, honest and professional service with good solutions for pool fence compliance, very happy. I wish to pay recommendation to staff and tradespeople of “The Big Tick” in Caboolture. Over a number of years we have engaged many professionals to provide work in our home but we were delighted and impressed with the response, the efficiency and pleasant- to- deal -with practices of “The Big Tick”. Several jobs were undertaken for us. All were completed on time and to our total satisfaction. We have no hesitation in recommending “The Big Tick” team. Thank you for all of your help and support in organising the Handyman works to get the fencing compliant. The staff were considerate in offering two options to choose from and completed the works efficiently and professionally. Thank you also for the final Pool Safety Certificate. The Big Tick made a simple task out of what could have been very stressful, seeing I was organising this from Victoria. I would recommend your service to anyone selling their house. On the initial contact Helen’s attitude was, what options are there to carry out this work legally, cost effectively and with the desired outcome for the customer. All contact with The Big Tick was carried out in a timely manner. On accepting the quote for the required changes the work commenced within a few days. The team turned up at the agreed time and all work was carried out, completed and final check within three days. I found The Big Tick Team to be a very hardworking, professional, trustworthy and polite team. I would have no hesitation in recommending The Big Tick to my family and friends. We are completely satisfied with all aspects of our pool fence installation from initial consultation to completed fence. The work carried out by John was of a very high standard and met our expectations. Apart from the cheap price charged for the installation. We found John to be extremely obliging, helpful and very professional in the manner in which he conducted himself during the time they took to erect the fence. We have no hesitation in recommending The Big Tick to anyone who may be considering having a pool fence installed. You will not be disappointed. Thank you so much for the wonderful service we received from “The Big Tick”. The inspector was very helpful and assisted us in every way so that we could have our pool approved yesterday. We will certainly recommend you to others in the future. I do appreciate your prompt action in dealing with the inspection of my pool fence and all actions resulting from your inspection. It will assist with a smooth settlement of my property. Yes, I would certainly pass your details on. Thank you for your thoughtful, helpful and pleasant attention in co-ordinating the construction of the new fence. John on his initial inspection provided a variety of ideas and solutions. The construction recommended went ahead quickly and efficiently. Altogether a successful and pleasing outcome. With best wishes for the future endeavours of your company. Thank you for forwarding on my Pool Safety Certificate. It’s a great relief to me to know that my pool and spa are safe. I certainly would recommend The Big Tick team. I found Helen and John very courteous, helpful and a pleasure to do business with. The standard of work that was done is excellent. I wish you all every success. I would just like to take the time to say “Thank You”. Unfortunately, I have had my fair share of poor service, profit focused trades people/companies over the last couple of years and I applaud and thank you for your main objective being to provide ‘excellent Customer Focused Care’. From start to finish, each one of your staff has been polite, professional, proactive, informative but most of all, focused on pleasing the client. The service and workmanship throughout has been impeccable and every consideration given to the budget I had to work with. I cannot thank you enough and it is so refreshing to know that there are genuine people out there who are not out to make a ‘quick buck’. I am so pleased I found your website. We were so happy with the work from The Big Tick that we arranged for them to do many maintenance jobs around the house. The pool fence was made safe, inspected, sliding door fixed, garden cement broken up for us, drain problem fixed, guttering and fixing the back veranda. Now we have them doing work on our neglected bathroom. We were impressed how The Big Tick people are flexible and can see different ways of fixing a problem. Happy to recommend the services of The Big Tick! Thank you for sending through the pool safety certificate. John arrived on time in the rain and was friendly, thorough and informative during the inspection. I would also like to thank you very much, Helen, for the excellent advice that you gave me leading up to the inspection. Your knowledge of pool safety regulations and anticipation of the issues I needed to be aware of for my particular situation helped me to be prepared and, as a result, the whole process went smoothly. Thanks again! Thank you Helen and John for your prompt and courteous service. My experience with The Big Tick was a very pleasant one from start to finish. I would not hesitate to use your company again in the future, or to recommend you to others. Thank you so much John and Helen for all your help. I will definitely recommend you to anyone I know who needs pool / spa certification. I truly appreciate your understanding in this trying time. I would like to take the opportunity to say THANK YOU for all the help you gave me in obtaining my Pool Safety Cert, without you I would not have made it.When you first visited me and gave me the news about the many tasks I had to attend to I nearly fell over, getting my neighbours to comply with any of it was going to be a task & one that I knew I could not get done. Once I received your email, photos, directions & alternatives of what had to be done it was all made very simple.As you are aware I have 4 neighbours backing onto my property and although the Termite infested fence was compliant in some areas it was not in others…so I took the option to rebuild the fence to the 1.8 height required, MOVE a couple of items – did what you suggested and hey presto it was done. The final visit and I was still not sure I would pass, sure we had all put in a great effort and I had a great fence ,done everything necessary and more BUT would I pass ?????? ?, the look on your face Helen to see the transformation of WHAT WAS TO WHAT IS NOW……. told the story. The final inspection, measuring everything again, making sure all was compliant and then finally THE BIG TICK of approval…….. yahoo the relief for me was enormous… Thank you for the support…..the advice…… and for that BIG TICK. So very much appreciated. Your services were AWESOME!!! You were fantastic to deal with! Will be getting you back when the certificate expires! The service provided and delivered was more than expected. The free pre-inspection advice was essential with all our queries responded to in a very quick, helpful and professional manner by Helen. For anybody reading this I can thoroughly recommend The Big Tick and would also like to say a very big “thank you” to both Helen and the inspector who undertook the inspection for making the whole process fluent. The Big Tick provided ‘… a responsive and professional service. I was particularly impressed that they demanded a high safety standard but they used their experience to provide practical advice and lateral solutions – highly recommended’. The service was excellent and your inspector made the process very easy as he stayed and helped me make the required adjustments on the spot. This was a great relief for me as I needed to this certificate in order to have my house sale go through. Thanks again. I would personally like to thank everyone from The Big Tick for all their help. They have been friendly and professional in all of my dealings with them. Their prices are extremely reasonable and I would have no hesitation is recommending them. We were very impressed with the service we received from The Big Tick. Not only were they the most competitive on the market, but we have great confidence in the fact that our pool fence is safe. Helen was so thorough in her inspection and evaluation of our pool fence that we believe it is undoubtedly safe. Thanks so much for all your kind communication, assistance and professional service. We will certainly recommend The Big Tick to others. Just wanted to say thanks so much to you, for the help with my pool – you are fantastic with your whole approach to everything – Helen will have to re-visit my home as I have a few things to do but from the bottom of my heart I say thanks…… and thanks and thanks WELL DONE. We would like to say a big thank you for ensuring our pool complies with safety standards and regulations. The service was of a very high standard and I would recommend to anyone, who require assistance from this organisation – you won’t be disappointed. We highly commend the staff for their friendliness and professionalism. Thank-you. Very impressed with John and Helen. Turned up on time and plenty of warning given. Very efficient and polite. We were very impressed. We will be selling our house shortly and in order to obtain a Pool Safety Certificate ‘The Big Tick’ was well recommended to carry out the inspection. Your office staff were most efficient and your instructions by way of a Checklist via the internet were first class and very helpful. John’s inspection was very professional and we were more than pleased when we were given the opportunity to attend to a couple of minor deficiencies while he was here. We recommend ‘The Big Tick’ without any reservations. We were so very impressed with the service provided by The Big Tick. Your professional and responsive approach was evident right from the beginning through to receipt of certification. We take our pool safety obligation very seriously and it was reassuring to deal with a company that is both particular and proactive in their pursuit of pool safety standards. As parents of a water-loving and inquisitive young child, receiving The Big Tick approval gives us confidence that we are doing all that is necessary from an infrastructure perspective to ensure his pool safety. Many thanks for helping us to protect our most precious gift – our son. Your service can never be undervalued and we will recommend you without hesitation to all and sundry. We have been very happy with the excellent communication and service from The Big Tick. The inspector was great and we contacted you through one of his recent clients – well done and thanks! We really appreciated the checklist on your website which drew our attention to a couple of things that we had to change in order to get our Pool Safety Certificate. You guys were great. In this day and age it is very unusual to have someone turn up on time but The Big Tick did. The guy was very thorough in his examination of our pool fencing and took many pictures and advised us after his inspection that it had passed. We required some sort of evidence that it had passed and he provided this on the spot but that same day we received an email with a copy of our Pool Safety Certificate. An original was then posted. A big thanks for all your help. Thank you very much for that great letter, it explains everything very well. The buyers were happy with your explanation of the fencing laws so the contract on the house has now become unconditional. Once again, thank you for everything you have done, you are one of those rare finds, someone who goes out of their way to help people. We will be very happy to pass ‘The Big Tick’ name on to everyone we know with a pool. The Big Tick were extremely helpful in providing professional advice and streamlining the process to obtain a Pool Safety Certificate. Highly recommended! I am writing this because we are happy with your service and to say thank you to John our inspector. He was absolutely brilliant, very professional and accurate. And very patient. Once again thank you The Big Tick. Awesome. I want to take this time to thank you for your prompt reply to my request for an appointment and being on time for the appointment. The professionalism shown on the website, phone service and the exceptional service on the day is very much appreciated. I have no hesitation in recommending your service to anyone. The gentlemen that attended to do the certificate really looked after the process and made it very easy. The team at The Big Tick were very professional, friendly and easy to deal with. The website was very useful when working out what needed to be checked before the inspector arrived. We would recommend The Big Tick to anyone who needs their pool inspected and thank them for the helpful and friendly service that they provided us. What a positive experience. When I bought this house without the Pool Safety Certificate I thought it would be a stressful experience that I was dreading. After hearing The Big Tick ad on the radio I gave you guys a call and felt at ease, from my initial call to register the pool and book an appointment to me sending in some photos for you to look at and recommending what changes to do, to someone coming out and inspecting, I have nothing but good things to say! I will be highly recommending everyone I know that needs a Pool Certificate to give you guys a call and I will be using you guys next time!! Thank you so much!!!! Just a quick reply to let you know that we are very happy with the professional service we received from “The Big Tick”. Even though we failed the initial pool inspection, the failure report that was sent to us was very detailed, with photos showing exactly what we needed to fix up. This made it easy for us to pass the second inspection. I would like to thank you and your team for the very professional way The Big Tick carried out the pool safety inspection of our facilities at Kyema Gardens. The whole process is very confusing to the uninitiated as to what is required, when and how to go about the process. I was given your website address by our Body Corporate Management so I logged in and was surprised to read exactly what was required in easy to understand terms and what I had to do to meet the government requirements. After filling in the online request form I was contacted the same day and a date was set the same week for an inspection. Thank you for all your help it was much appreciated and I will see you next year. As grandparents to six young active grandchildren, it is with great pleasure we thank your company for the peace of mind you have given my wife and I by the professional way you conducted this approval of our pool safety certificate. I would not hesitate to recommend your company to anyone seeking a Pool Safety Certificate. John was terrific and we will certainly recommend your service to our friends. Many thanks in helping us obtain our pool safety cert. A professional service with a personal touch, the guys were great and even helped complete a requirement that I had overlooked. we look forward to dealing with you in the future. Very happy with service. The Big Tick turned up on time, was helpful in giving advice on what needed to be adjusted to avoid a second visit and allowed changes to be made on the run. Would recommend your service to other pool owners. The service was excellent. The inspector was very thorough, and found several various minor issues. I was able to fix these to his satisfaction on the spot. His attitude is highly commendable. I have already recommended your service to others. Obviously your staff thrive on being in a service industry as everyone I came into contact with could not have been any more helpful. From the first point of contact to make an appointment over the phone your staff were friendly and helpful. They made available to me all the information I needed to make sure I knew what the requirements were to make my pool safe. Even the representative from The Big Tick who carried out the inspection showed a caring manner rather than being judgmental. Thank you once again for your assistance. I was very happy with the service I received. I rang a few companies for quotes but it was your friendly manner and professionalism that made me choose The Big Tick. You were so helpful and made the whole process so easy. I have already recommended The Big Tick to friends. Thanks very much. We were very happy with the service from John. He is very thorough and we were happy to make our pool safer for the new owners. Thank you for the efficient service. I am happy with the service The Big Tick gave me. John was very thorough, gave me some advice and helped me overcome a problem I had. I have already recommended your firm to others. We recently used your services for a property in Paddington. The property was under contract and your representative was very professional and went the extra mile in order for us to get the Pool Safety Certificate for the property that day, which then allowed us to go unconditional on the property. In this process some minor repairs needed to be made on the fence and your representative was willing to wait around for those to be completed and then issued us with the compliance certificate. It was a pleasure working with your representative and we intend to use your services again in the future. Thanks guys. You were really friendly & helpful & patient. Also a bit cheaper than my other quote. I’ll be back with my next project. The service you provided was exceptional. Your willingness to provide advice on the practical solutions to make our fence comply prior to the inspection were invaluable. In addition, the assistance John gave on the day of the inspection to help fix up the minor items that were not complying was much appreciated. They both served to ensure that we received certification of our pool fence on the first attempt. Thank you. Really appreciate how prompt and professional your service has been. We will recommend you in the future. Thank you for all your hard work and courteous professionalism. The workmanship is fantastic and all is much appreciated. We are very delighted with the work that was done & we found John to be courteous, thorough, & very professional. There will be no problem at all in recommending your company to our friends. Thank you so much for a job well done.